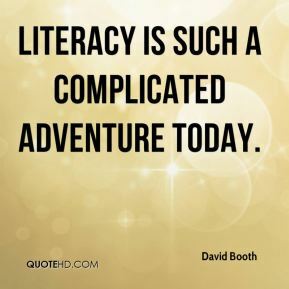 Literacy is such a complicated adventure today. I don't dictate what humans should read. 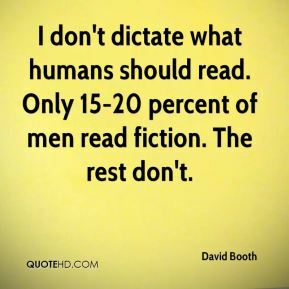 Only 15-20 percent of men read fiction. The rest don't. 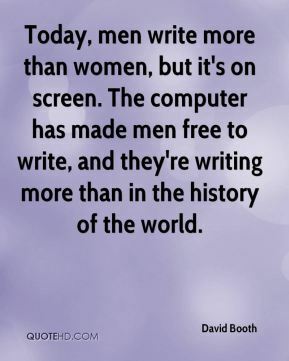 Today, men write more than women, but it's on screen. The computer has made men free to write, and they're writing more than in the history of the world. 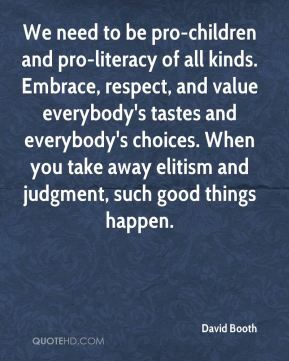 We need to be pro-children and pro-literacy of all kinds. Embrace, respect, and value everybody's tastes and everybody's choices. 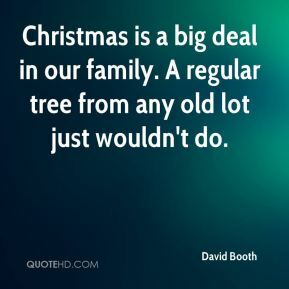 When you take away elitism and judgment, such good things happen. 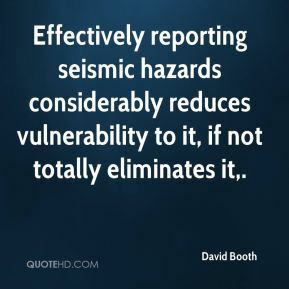 Effectively reporting seismic hazards considerably reduces vulnerability to it, if not totally eliminates it. We've got good talent; everyone works hard; and we all get along great. There's no cliques on the team like there's been in the past. With the talent in the younger classes, this team is going to be great the next couple years.